Pros: A highly original and emotionally heartfelt musical which doesn’t shy away from tough themes. Cons: In my opinion, this show would have worked better as a play rather than as a musical. As a venue known for its emphasis on nurturing new talent, it’s fitting that the King’s Head Theatre in Islington is playing host to the UK premiere of the Australian musical Once We Lived Here. With previous award winning runs in Melbourne and a spell in New York under its belt, this latest production doubtlessly carries high hopes for all involved. Though admirable for the emotional and cultural authenticity of its themes, it remains to be seen if the show can find the same resonance and breakaway success as it has in its native Australia. There is another unavoidable problem. Any musical theatre lover cannot fail to adore the smash hit Priscilla Queen of the Desert. In terms of pure entertainment value, it’s a show which set the bar for how great Australian productions can be. It’s a tough act to follow. Once We Lived Here has an original storyline with a strong emotional core for the audience to invest in. This is a sympathetic exploration of personal struggles for identity and how they are constrained by familial ties to the land. The characters are well drawn and the performances are accomplished. The show is headed by a strong international cast, including Home and Away’s Melle Stewart in the lead role of the stubborn and lovelorn Amy McPherson. 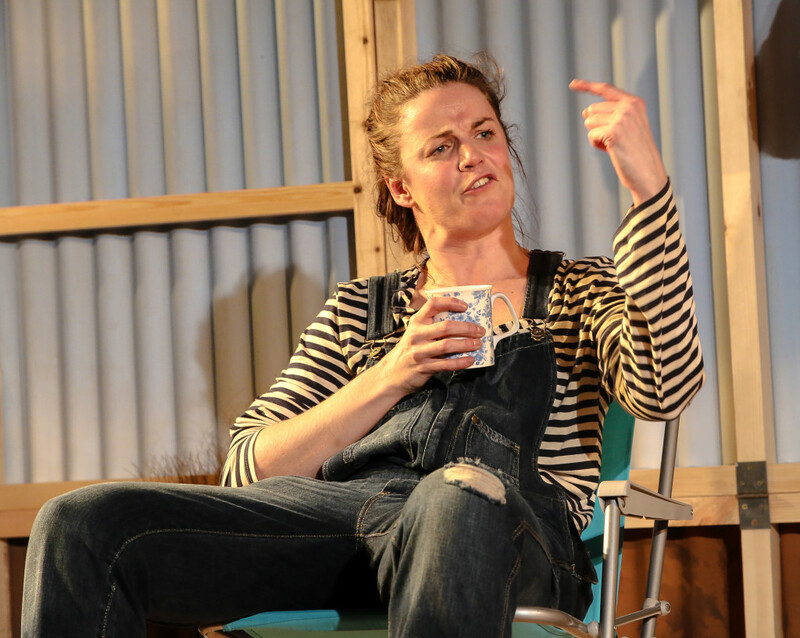 Arriving fresh and clueless from the city, Bellinda Wollaston plays her ditsy sister Lecy. Her brother Shaun (Lestyn Arwel) is an emotionally pained young man through whom the author sympathetically explores mental health issues. Then there’s Burke (Shaun Rennie) the wandering Jack the Lad love interest, and the kind but emotionally brittle mother Claire (Simone Craddock). 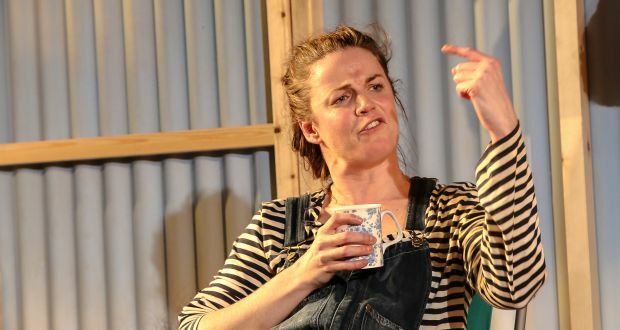 The production offers a strong sense of shared conflict too: after a tragic accident forces the McPherson family to make some tough decisions about the future of their farm, the three siblings go on a painful emotional journey to explore the legacy of their shared past. There’s good natured Aussie humour, poignancy and decent original musical numbers. The farmstead porch-front set design, complete with real sand, offers plenty of visual interest. The singing (particularly by Shaun Rennie) and the live instrumentation is great. Despite all these points, Once We Lived Here fails to captivate and enthrall the way I believe musicals should. The story may be easy to relate to, but it feels a bit mundane. The journey the characters go on doesn’t offer the kind of escapism this reviewer craves. And the musical numbers are relatively long, lyrically obtuse and narrative driven – they don’t stand alone to captivate. In fact the musical aspect felt somewhat incongruous, detracting from the sincerity of the writing and what could have ultimately been a better play than a musical. Where Priscilla offered emotional complexity plus ballsy glitz and exuberance, songs about a legacy of familial strife, grief, personal tragedy, and manual toil don’t quite sparkle in the same way. Part of the problem was that, although the King’s Head is one of the best fringe theatres in London, in terms of acoustics and on stage action, this production really needs a bigger space to come into its own. The show’s premise is a good one, it just doesn’t quite strike the way it ought to.